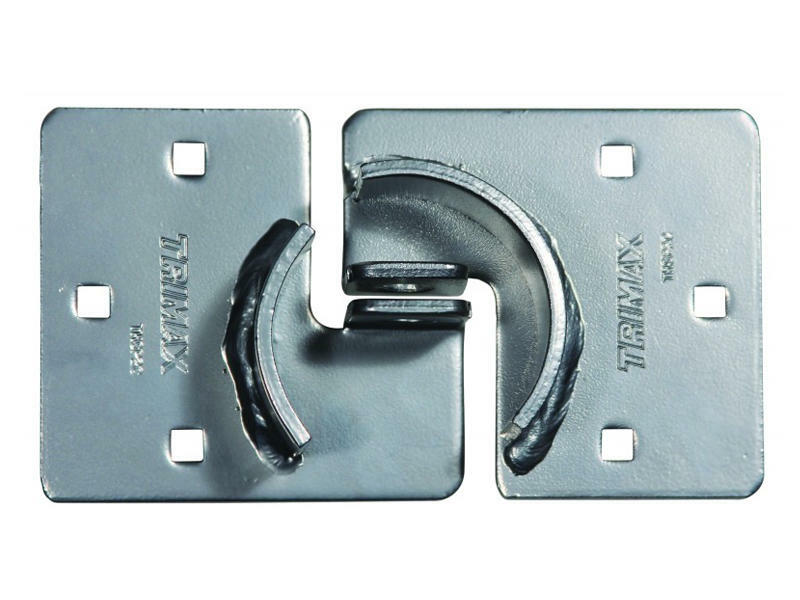 Triple chrome plated 2-piece hasp for trailer of shed doors. Designed to completely shield the lock's shackle to prevents prying, cutting or sawing. Use with "hockey puck" style lock for maximum security. Mounting hardware is not included. Square holes measure slightly under 3/8"